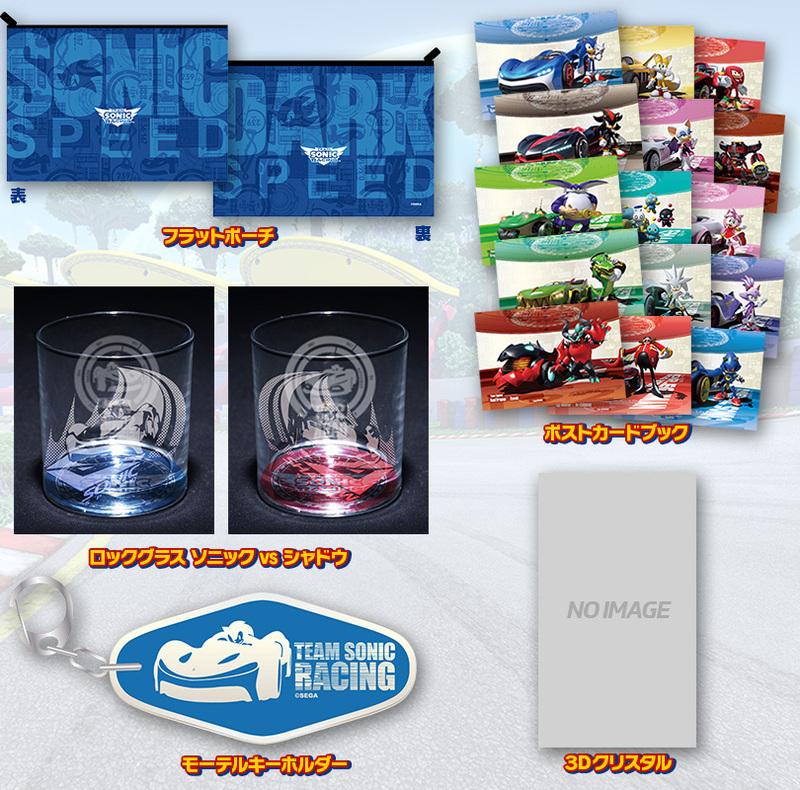 Is it just my imagination… Or does Japan get really amazing collectors/limited edition Sonic games? 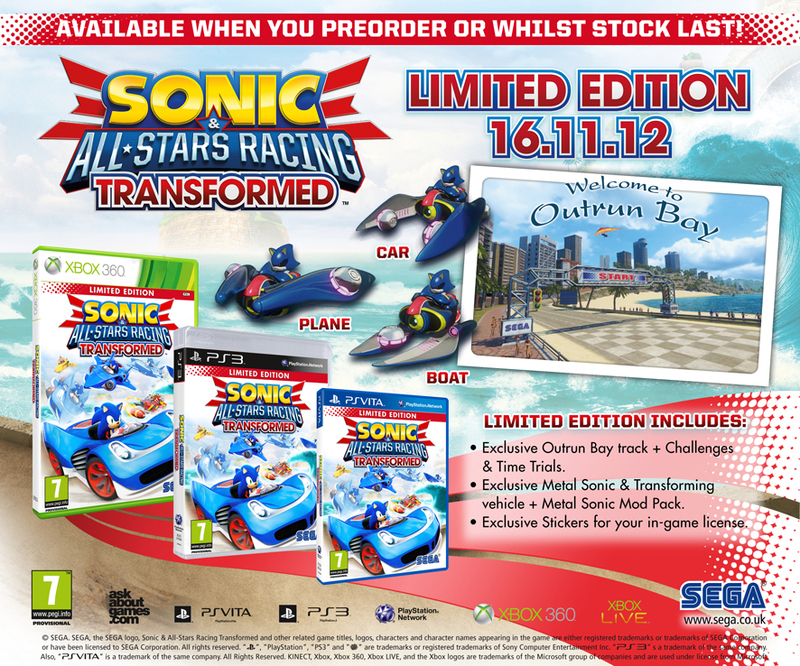 Well Team Sonic Racing is no exception, whilst only a standard release has been confirmed for the west, Japan is getting a huge selection of limited and collectors editions! The first edition is the “Team Sonic Racing” Trailer Music Selection” Version which comes with a small MP3 OST. Depending on the retailer you purchase it from, you also get a booklet and some acrylic ornaments. But the most impressive edition is the DX Pack which comes with everything you see in this image. Yes you read that right, this edition includes a crystal cube! However no images of the cube have been made available at present. Other collectors editions comes with the same stuff, but certain items are not included depending on the version you get. 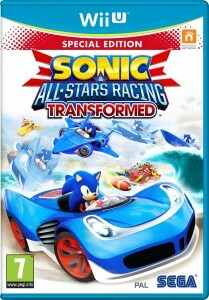 SEGA Europe has today released box artwork of the Limited Edition version of Sonic & All-Stars Racing Transformed via their press site, but the Wii U version is oddly labelled differently as a ‘Special Edition’. Retailers have been and still are showing a Limited Edition for Wii U, though SEGA has never officially announced it for the Wii U, so have they been working on exclusive content for the Wii U version behind the scenes? Hopefully we’ll find out soon. If we get any details, we’ll pass them along. Limited Edition box artwork for all formats is available after the jump. This means the Wii U version will hit store shelves two weeks after the game releases on Xbox 360, PlayStation 3, Nintendo 3DS and PlayStation Vita on 16th November. In news that will no doubt delight those planning to pick up the game on Nintendo’s new console, SEGA has also confirmed that the Limited Edition version – boasting Metal Sonic as a playable character and an OutRun inspired track to race around – will be available on Wii U as well. Are you planning to get Sonic & All-Stars Racing Transformed for the Wii U? Let us know in the comments! 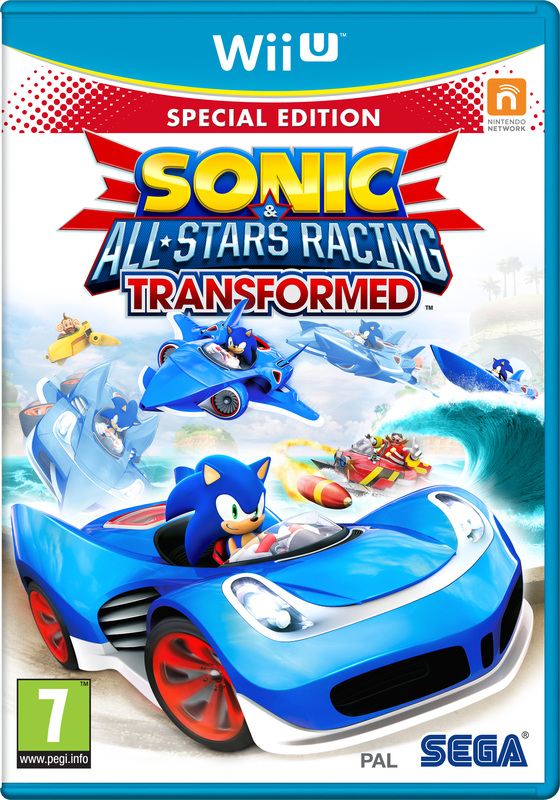 On Monday SEGA announced that Europe will be getting a Limited Edition of Sonic & All-Stars Racing Transformed featuring the same additional content that the US is getting in its Bonus Edition. These editions contain an exclusive Outrun Bay track, exclusive Metal Sonic character + Metal Sonic mod pack, and exclusive stickers for your in-game license. Four UK online retailers now have the Limited Edition available to pre-order. A list of the retailers, platforms and prices is available after the jump. 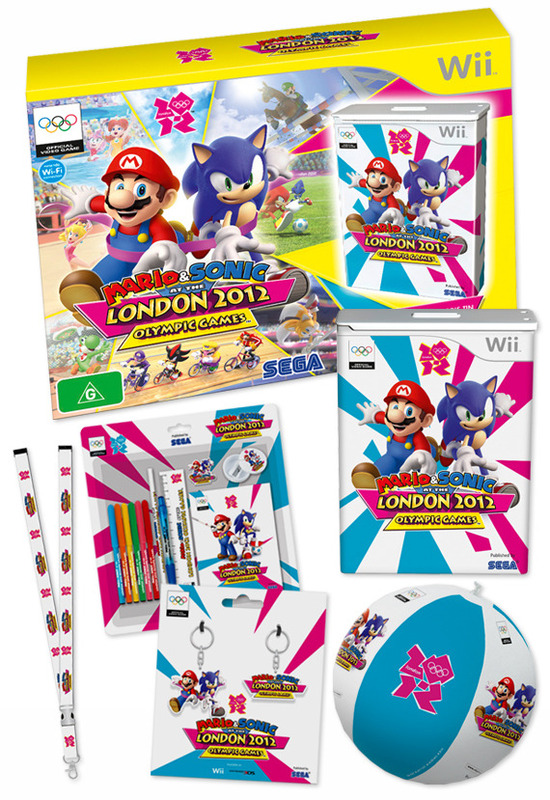 Following the previously revealed Limited Edition, the Australia and New Zealand branches of Mighty Ape are now listing a Collector’s Edition for the Wii version of Mario & Sonic at the London 2012 Olympic Games. You can pre-order your copy of the Mario & Sonic at the London 2012 Olympic Games Collector’s Edition at the links below. Both retailers ship worldwide. 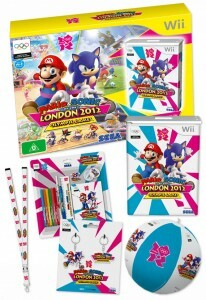 If the Collector’s Edition doesn’t interest you, you can order the Mario & Sonic at the London 2012 Olympic Games Limited Edition at EB Games Australia for £88.00AU. Unfortunately, it appears EB Games doesn’t ship outside of Australia. 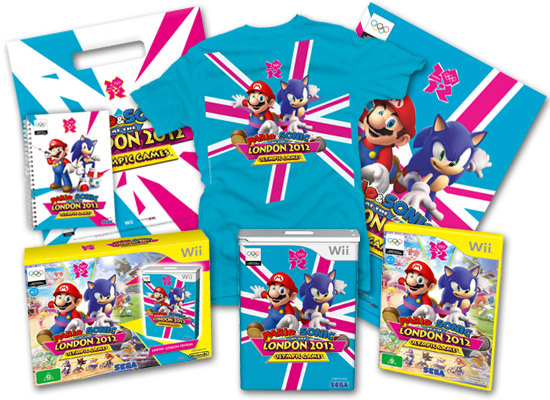 With Mario & Sonic at the London 2012 Olympic Games now having a Collector’s Edition, like Sonic Generations did, it’s definitely an expensive year to be a Sonic fan. UPDATE: UK fans can now get the tin as a bonus with the game at Amazon. Thanks to Thomas for the heads up! It appears the Mario & Sonic at the London 2012 Olympic Games Collector’s Edition revealed for Spain last month actually contains a lot more than just the steel tin shown on the box image SEGA Spain released. EB Games Australia is now listing it, except under the name ‘Limited Edition’ instead of ‘Collector’s Edition’. The retailer has shared the above image of all of the item’s you get with this edition of the game, which include a steel tin, a poster, a t-shirt, a notebook and a carry bag. All of this is available to pre-order and purchase for $88 AU, which is just $10 AU more than the standard game on its own. It’s also worth noting that this set of goodies is exclusive to EB Games in Australia. It will also be made available in Spain, but we’ve not seen it up for pre-order yet. Get Sonic Adventure 2, the Contest Way! Woah! If you haven’t noticed already, Sega Europe has teamed up with Sega of America to give away a copy of Sonic Adventure 2! Go to the main page of the website, there’s a link to the competition there. Anyone from Europe and America can enter, and it’s worth taking part – you can win the game, the LIMITED EDITION BOX SET, SOAP Shoes, and a Swatch watch. With 19 days left to go until the release of the biggest Sonic game ever, SEGA America has finally opened its own official Sonic Adventure 2 website. And as a double-whammy, the new site revealed that the 10th Anniversary special edition (that comes with gold coin, soundtrack and history book) will be sold in American stores!